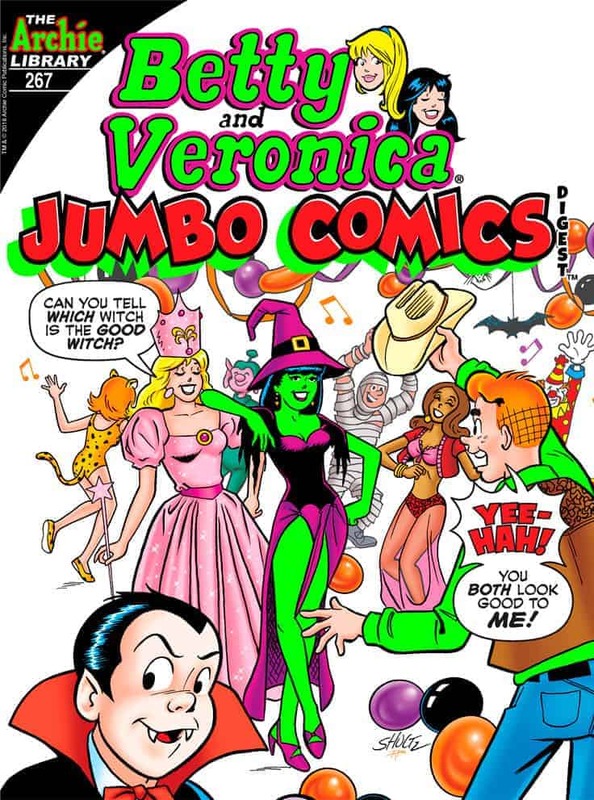 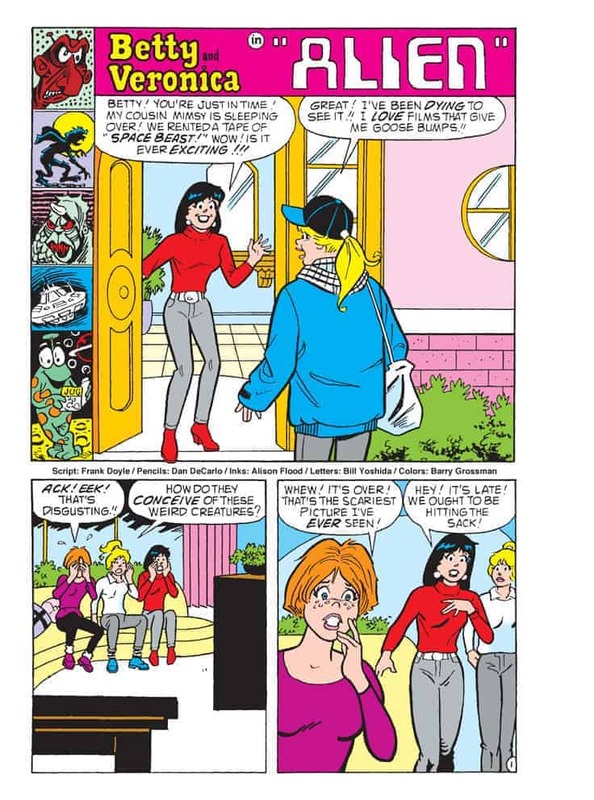 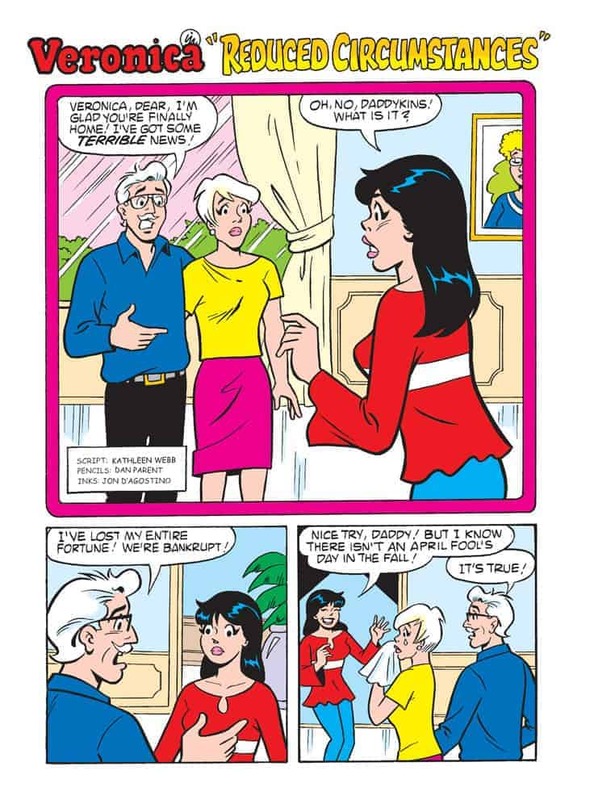 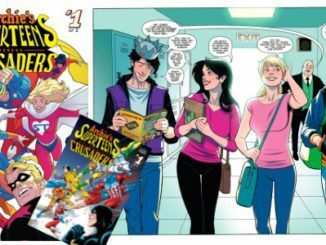 Available this Wednesday, October 10th from Archie Comics is the latest issue of BETTY AND VERONICA JUMBO COMICS DIGEST. 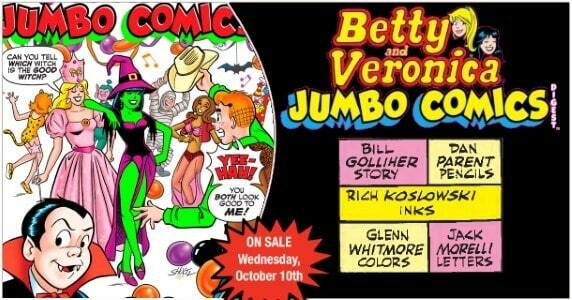 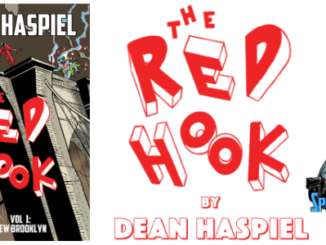 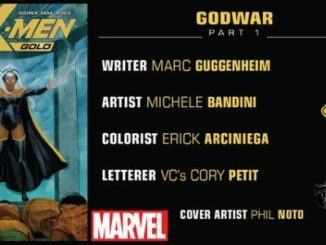 Take a look at the preview then get the 192-page comic on New Comic Book Day at your LCS or online retailers! 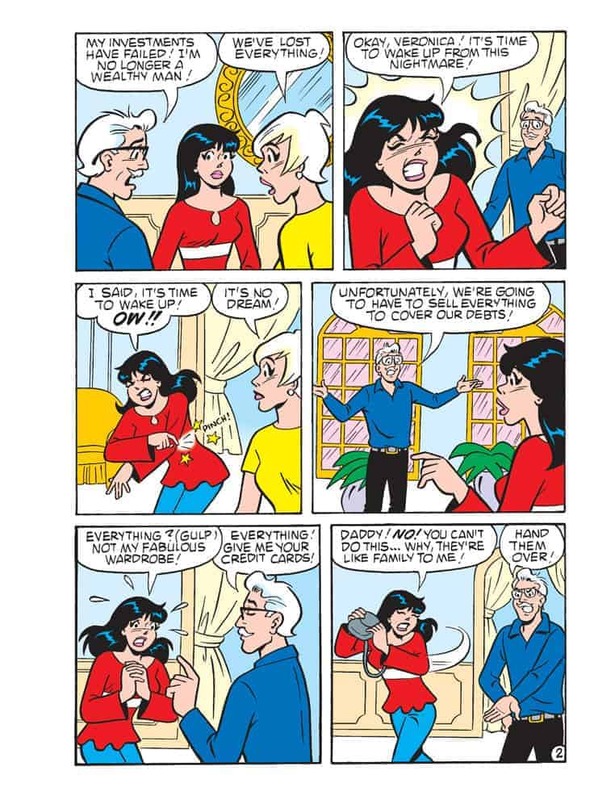 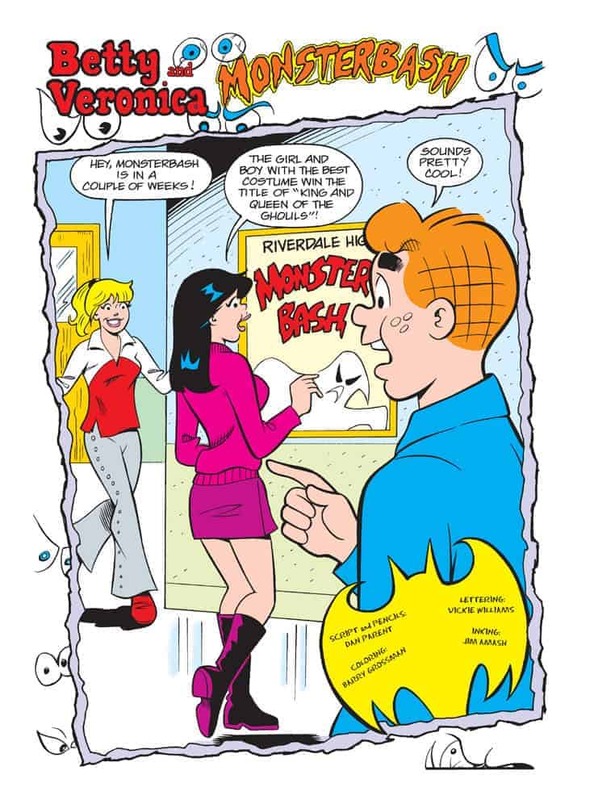 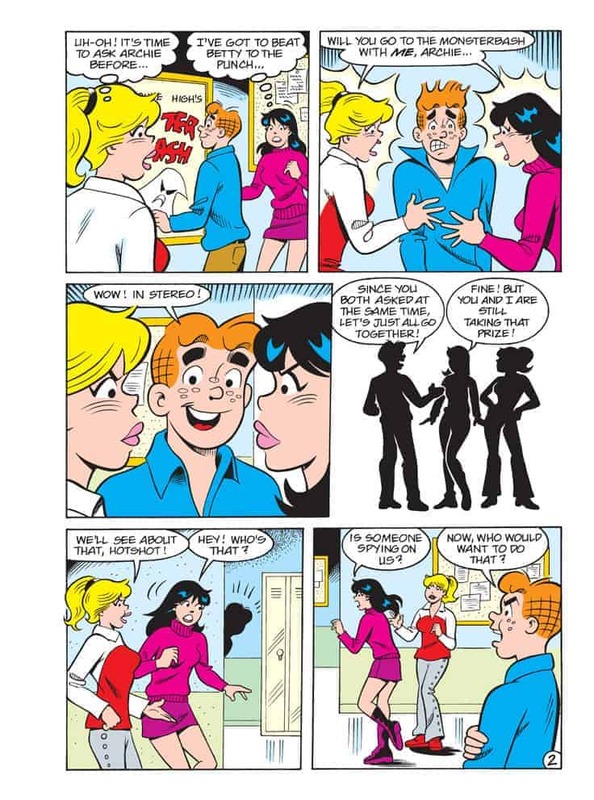 When Betty gets a job at Lodge Industries, she takes to it immediately! 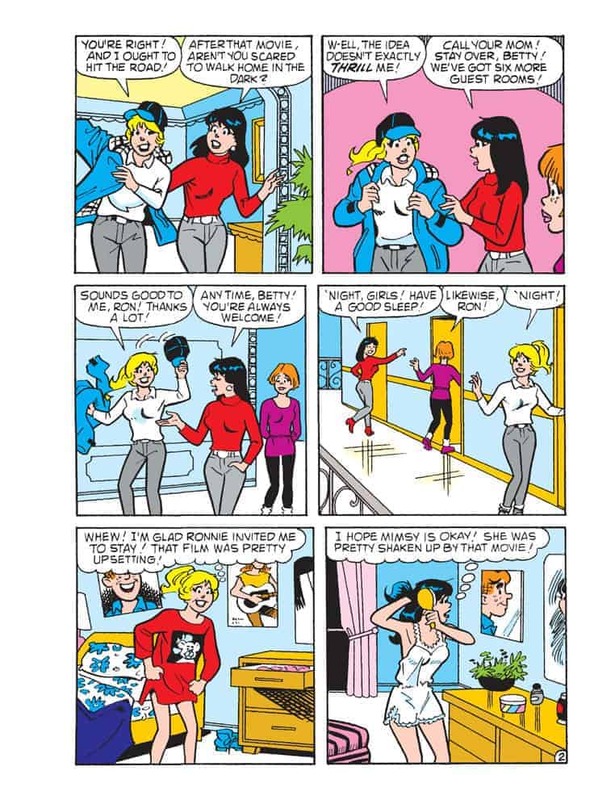 But is she the best employee because of her hard work, or because she’s the BFF of the boss’s daughter?